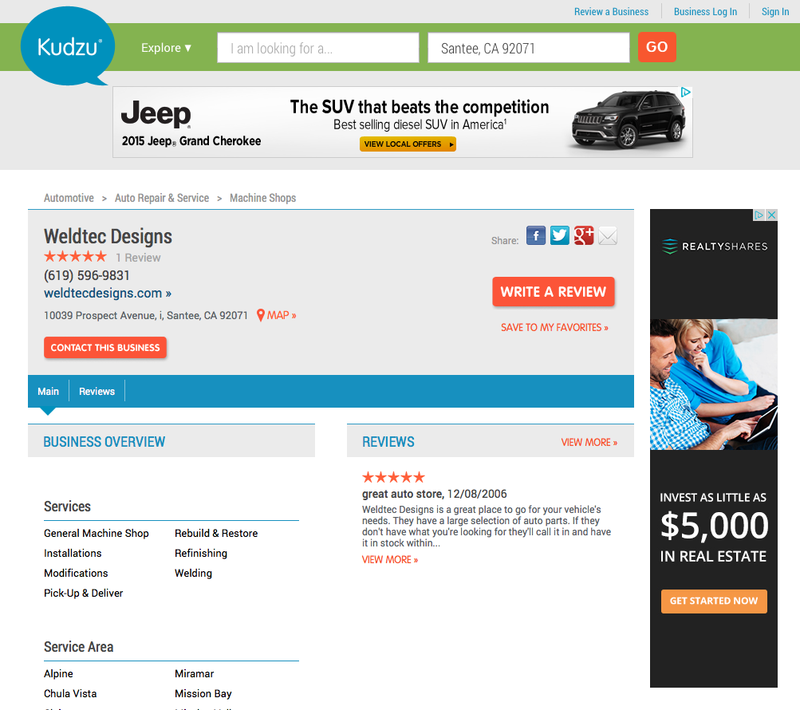 Our business profile is on Kudzu! Their site makes it easy to check quick info on our shop such as shop hours, services available, and more. This entry was posted in Uncategorized and tagged customers, kudzu, offroad fabrication, reviews, social, testimonials, weldtec, weldtec designs, weldtec offroad, weldtec san diego, weldtec santee, weldtech, wtd. Weldtec was recommended to me when I wanted a cage put in my Jeep. After bringing it in the shop, Jeremy spent time with me making sure I was completely satisfied with the order. Once I brought the Jeep in the lead times were met on time. The end product far exceeds my expectations. They did an absolutely amazing job and am going to use them again soon in the future for another product. If you want a truly amazing product this place is it.